The metal neodymium is a critical material for offshore wind power. Research into the material requirements of future energy systems has been increasing in recent years, but there are still many unknowns. We set out to investigate the scale of the challenge in the United States. While we were conducting research for this study, a group of Yale Forestry & Environmental Studies staff and students went to see its sole extant specimen in North America: the Block Island Offshore Wind Farm. Although the United States has quite a strong land-based wind power sector, Block Island has the only offshore wind turbines supplying electricity in the United States. We departed a small Rhode Island harbor on a local fishing boat and sailed through a heavy morning fog into the Atlantic ocean. Visibility was nearly zero but we knew that the five GE turbines – each capable of producing 6MW of electricity – are big, and kept looking for them. But even when the boat’s engines slowed down, signifying that we’re getting close, we still couldn’t see anything. Suddenly one of the turbines emerged out of the mist right in front of us, its top remaining nearly out of sight. 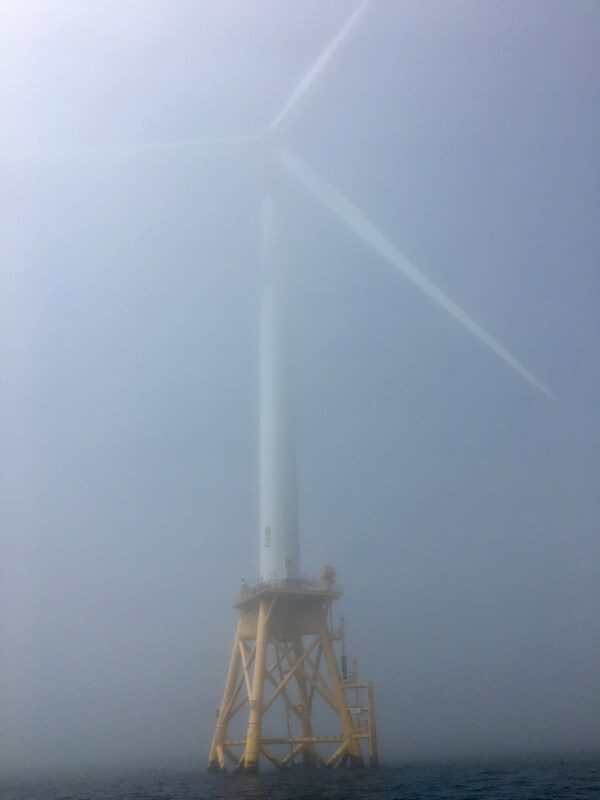 One of Block Island's 6MW offshore wind turbines appearing through the mist, May 2018. Photo credit: Tomer Fishman. It was a dramatic effect indeed to have such a huge object materialize so close, so suddenly. We set out to explore the material demands that would be required for building up offshore wind power in the United States, focusing on neodymium, a rare earth metal deemed critical for green technologies. The work involved simulations of the future flows and accumulation of thousands of tonnes of neodymium in offshore turbines, and it’s easy to lose sight of the sheer physical scale of it. The experience made the importance of our research truly palpable. The permanent magnet housed in each turbine’s nacelle weighs around 4 tonnes, over 25% of which is the rare earth metal neodymium. In other words, there’s neodymium the weight of a car in each of these turbines. If an ambitious scenario like the DOE’s Wind Vision is to materialize, our study suggests that as many as 15,000 car-weights worth of neodymium would be required by 2050, even with technological improvements to reduce neodymium content. This requirement is far from trivial. Current neodymium production and supply chains involve entwined economic, environmental, and geopolitical challenges. Research into the material requirements of future energy systems has been increasing in recent years but there are still many unknowns, especially in the US with its regional heterogeneity on the one hand and production and reuse potentials on the other. Incorporating material flow and stock analysis, especially of specialty metals and “critical materials”, into energy planning would be prudent and support forward-thinking planning for reuse. We hope that our study will contribute to clearing some of the mist that surrounds meeting the material requirements for sustainable energy production. Cover photo credit: Tomer Fishman. 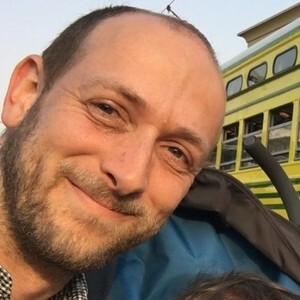 Lecturer at the School of Sustainability, IDC Herzliya, Israel, and previously a post-doctoral associate at the Center for Industrial Ecology, School of Forestry & Environmental Studies, Yale University. My research is focused towards the materials that accumulate in our buildings, vehicles, infrastructure, consumer products, and green technologies, and how they form the interlinkages between society, economy, and the environment.